The most important part of achieving the accuracy you desire with any weapon is to ensure that the instruments you utilize to aim your firearms are properly installed. For some, this might mean seeking out the services of a professional gunsmith in NH, such as the ones at Old Glory Guns & Ammo in Mason, NH in order to have the sights or scopes of a firearm installed properly. Then there are those others who are of the more “do it yourself”variety, and are comfortable with installing a scope upon their rifle or other firearm themselves. 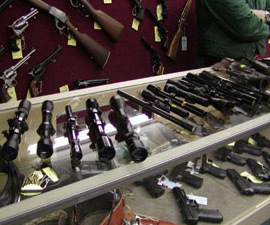 While these shooters might not need the services of a professional NH gunsmith, the processes and techniques they would use to complete the installation remain the same. 1) Choose the correct equipment to suit your personal needs, shooting style, and type of rifle. As with everything else in life, the quality and attributes of all components used in the final construct should be similar. Rarely is it recommended to put a cheap scope on an expensive, high-quality rifle, unless that particular scope happens to be perfectly crafted to suit your exact shooting needs. 2) Carefully set your ring alignment so that, axis to axis, the scope and the barrel of the firearm are as close to perfectly parallel as possible. There is a rare exception to this rule, however. Some rifles meant for very long range shooting actually use a set of ramped bases for their scopes, where one end is slightly higher than the other. This is meant to help correct the naturally curving trajectory of a bullet over a long distance. 3) Position the scope so that it puts the least amount of strain on your eyes. The trick here is to find the farthest possible distance the scope can be from your dominant eye while still allowing you to achieve full target view at maximum magnification. If your eyes start to hurt after extended periods of shooting using your scope, you might have to repeat this step for safety. 4) Level your scope properly. While at first this may seem like a repeat of step 2, it is actually something different. Here, scope leveling refers to the act of achieving a perfect alignment of the aiming reticle, (also known as crosshairs). These lines should be pointing perfectly up, down, left and right respectively. You might be surprised how much a crooked reticle can mess up your aim! 5) Tighten all screws to the correct torque. Over-torquing the mounting screws can undo some of the perfect alignments achieved in the previous steps. Check the manufacturer’s recommendations for the proper torque level. 6) Bore sight the finished product. Using modern technological gadgets such as cartridge laser bore sighters or muzzle laser sighters will help you to fine tune your firearm and scope to a perfect result. If you are confused about any of these steps, or have any questions, please don’t hesitate to come see our certified NH Gunsmiths, or call us at 603-878-2854! We are Old Glory Guns & Ammo, and we are determined to be the best and most helpful gun shop in New Hampshire!